In This Episode: Well, after being slightly depressing for a few minutes, we have the Funimation keynote from SANA, a Musical Ration, and a review of Monster’s University for Animation is Art: The Audio Experience. Well, when we redid the Animation is Art website, we scrapped that podcast; but we’re bringing it back as an addition to the normal show. Although a specialized version of it can be downloaded separately for ease of consumer use. Yes, that is our goal. Now, the only real benefit for downloading Animation is Art: The Audio Experience is if you just want to hear the review. Although, in the future, we will have additional animation news in the Audio Experiences that WILL NOT be available in the episode they are attached to. 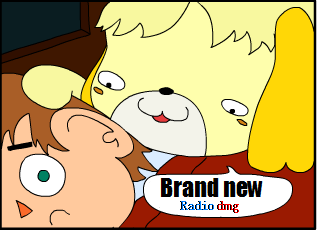 Also, for those wondering about Musical Rations, the file you download by itself is 320KBPS, whereas the file inside of the Radio DMG episode is usually about 64KBPS. Meaning that the audio quality on the individual file is much less compressed and has better sound quality. Also, I do have lists of the music used in those Musical Rations; but I only make them to entertain myself and practice set mixing. You just get to enjoy them as a side result! Oh, here is the first episode of Animation is Art: The Audio Experience. The picture is completely unrelated; but Cobra Commander is awesome and you should all respect him. There is stuff in the things. Yup! This entry was posted in Radio Dmg Shows and tagged all, animation, anime, art, cgi, comic, con, denver, donate, money, monsters, nintendo, pixar, please, rotlcon, sana, story, stuff, toy, university, your. Bookmark the permalink.